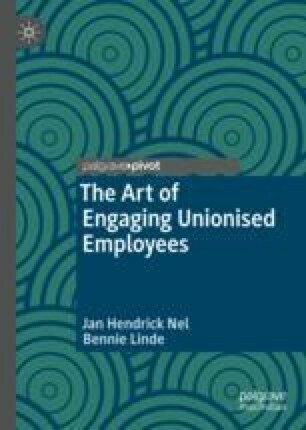 This chapter is an overview of the systematic review and narrative evidence synthesis from the literature on engagement to develop a new framework to increase the low levels of engagement in a unionised environment. Although much has been written on engagement, no research has been done to understand employee engagement in a unionised environment. Various propositions emerged from the systematic review and the evidence synthesis of the literature to create a conceptual framework on how to increase the engagement levels in a unionised environment. Findings show that employee engagement can be fostered in organisations with a unionised presence by focusing on job design factors, trust and integrity, individual characteristics, collaborative partnerships, employee voice, human resources management practices and leadership and line managers’ behaviour as antecedents to engagement.